Joe Dispenza, D.C., the author of Evolve Your Brain, studied biochemistry at Rutgers University. 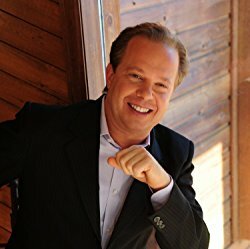 He also holds a Bachelor of Science degree with an emphasis in neuroscience, and earned his Doctor of Chiropractic from Life University in Atlanta, Georgia. He has received postgraduate training and continuing education in neurology, neuroscience, brain function and chemistry, cellular biology, memory formation, and aging and longevity. One of the scientists, researchers, and teachers featured in the award-winning film What the BLEEP Do We Know! ?, Dr. Joe has lectured on six continents, educating people about the functions of the human brain. He has taught thousands how to reprogram their thinking through scientifically proven neurophysiological principles. When not traveling and writing, Dr. Joe is busy seeing patients at his chiropractic clinic near Olympia, Washington. How Common People Are Doing the Uncommon. Adironnda & Company is a participant in the Amazon Services LLC Associates Program, an affiliate advertising program designed to provide a means for sites to earn advertising fees by advertising and linking to amazon.com. Your purchase helps supports our work in providing you information about health and holistic wellness.